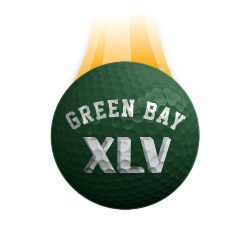 Special Edition Green Bay and Pittsburgh virtual golf balls based on our top-selling GI-SD Vapor Trail Balls. 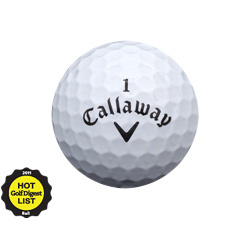 Support your favorite team or gift to your friends..
New from Callaway, our top-performing virtual golf balls, the Tour i(z) for max distance and the Tour i(s) for max spin. Unlocked at level 33 and 35. From TaylorMade, the Burner 2.0 irons with high trajectory and long distance. Unlocked at level 15. Visit the expanded USGA Championship Zone and explore all our US Open courses with new tournaments, prizes and video highlights from the USGA. Find it under the EXPLORE COURSES menu in the game. You can now play in Ready-Go Tournaments against only players in your same tier, so you compete against players with a similar skill level to increase your chances of winning. 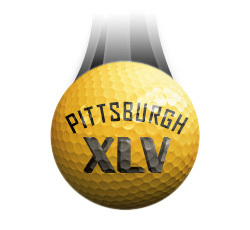 And when you do win, first earns now earns 10X the entry fee and the top 30 players still earn credits. New Tier-Based Ready-Go’s are currently available for Pro, Tour Pro, Master, Tour Master and Legend players. The 100 millionth round of virtual golf on WGT.com was played on 1/22/11 by a player in a foursome on Kiawah Island Ocean Course. Since all four players were part of this historic round, we’ve awarded each of them the 10,000 WGT credit prize. Congratulations to bluestarsman, RasPINN, Marscha and foxnet, who are all experienced WGT players. More and more WGT players are participating in Multiplayer rounds, from Foursomes like this one, to one-on-one Matchplay, to the new Alternate Shot game in which two teams of two players take turns hitting each shot. Thanks to everyone for playing over the weekend. We’ve got a release coming this week with some nice surprises for you all. Sometime this weekend, WGT will hit 100 million rounds of virtual golf played. 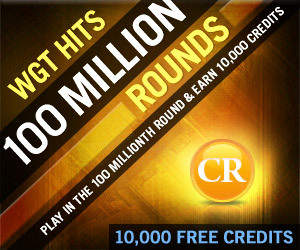 It’s a big milestone, and to celebrate, we’re giving the player in the 100 millionth round 10,000 free WGT Credits, which they can use on new clubs, balls, boosts, avatars, tournaments and match play. We’ll post the winner here next week, with their permission of course. 100 million is a lot of anything, but it’s especially a lot of virtual golf, and WGT is by far the largest realistic online golf game in the world. And to compare WGT to real-world golf, in the United States there are about 50 million rounds of golf played every month across about 20,000 real-world courses. So WGT isn’t as big as real-world golf…yet. We’re thrilled that so many of you are enjoying WGT. Keep playing…especially this weekend for more chances to win.